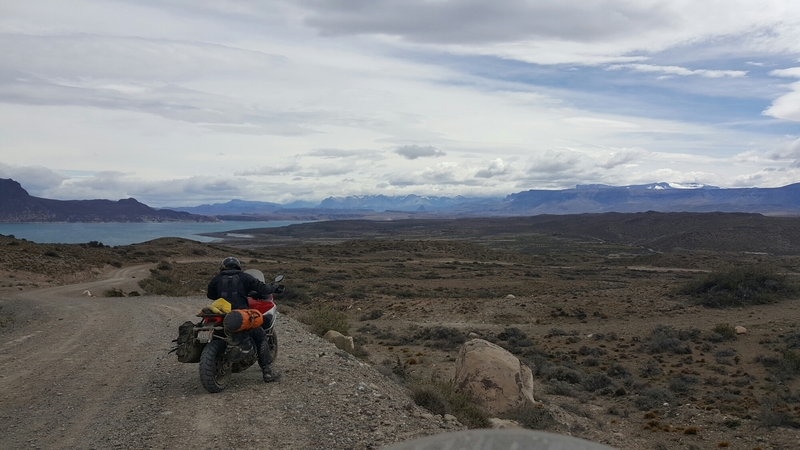 Riding north out of calafate is windy and open scenery. A bit boring at times. There’s a long section, about thirty miles, of mostly gravel and some dirt. We can go fast but the gravel gets deep and you have to stay in the ruts made by previous cars. 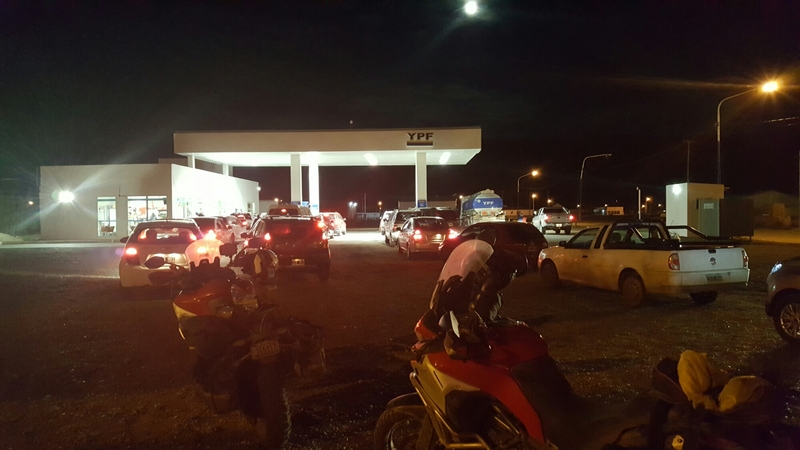 I need of fuel in gobernador gregores and the only station there is out of fuel. 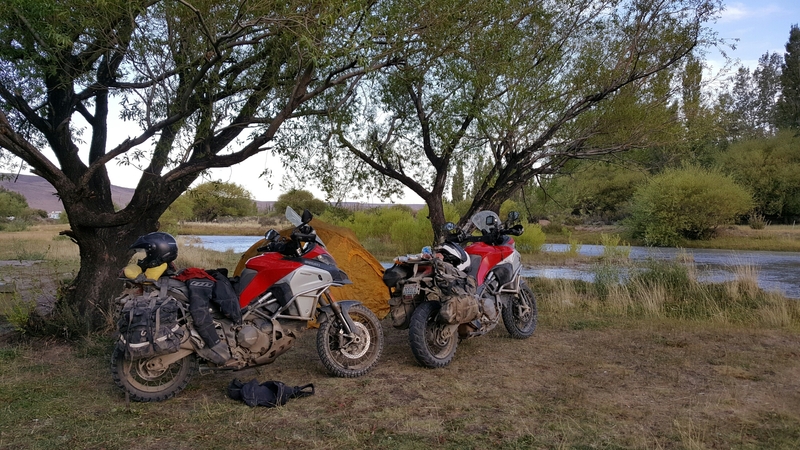 So it’s wait from about four p.m. until fuel gets there at the p.m. we found a campspot in town and are now waiting for the fuel truck. 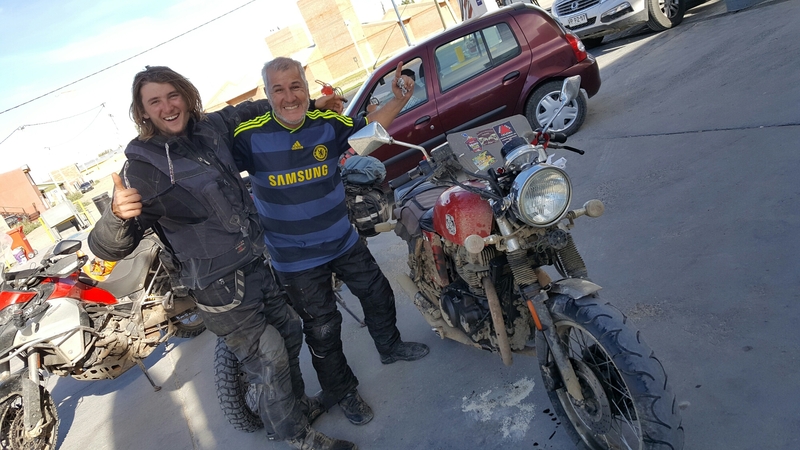 We met a guy named Israel riding from Brazil who is on a Honda 650. We helped him change his oil as we all wait. 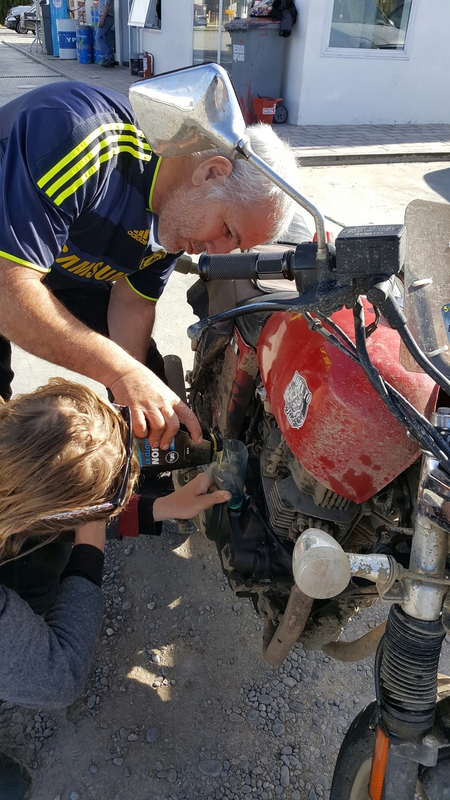 Israel wants to live good the next fifteen years and some of that includes doing trips on his motorcycle.